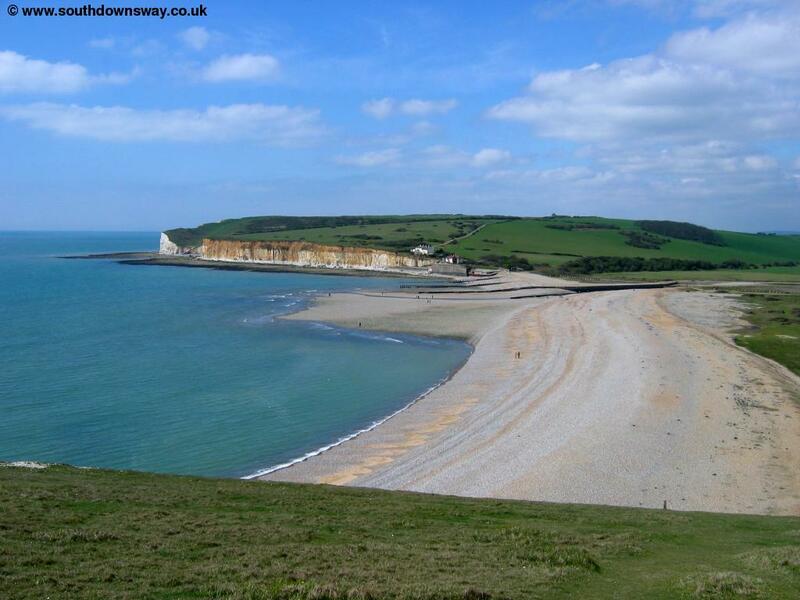 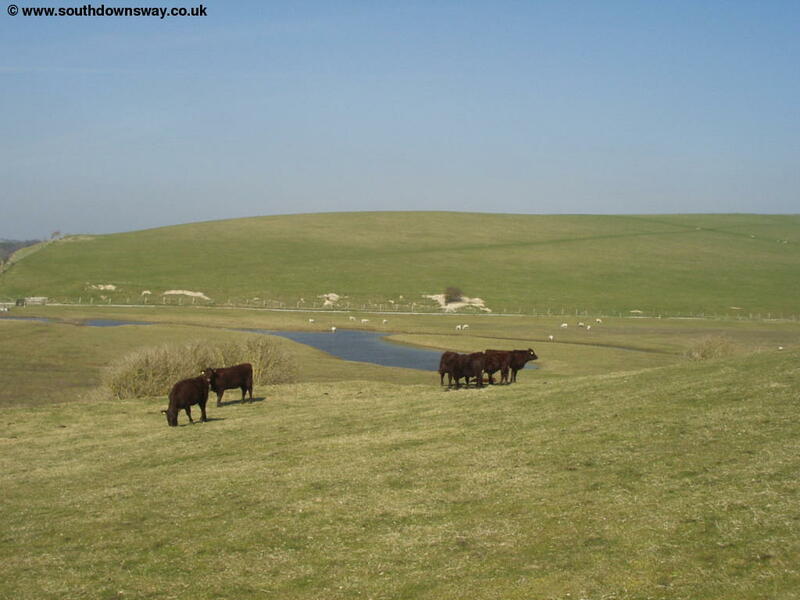 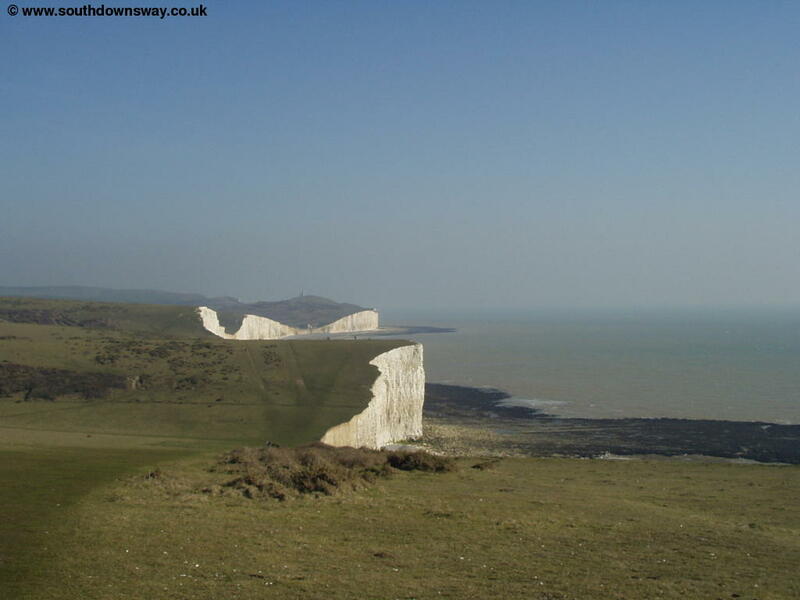 This walk starts from the small town of Seaford on the Sussex coast, initially following the Vanguard Way before joining the South Downs Way at the village of Exceat on the banks of the Cuckmere River. 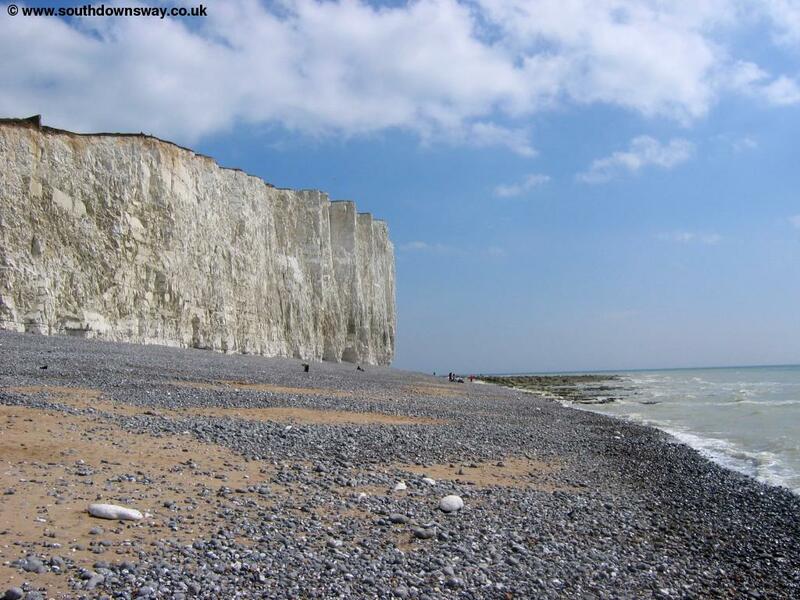 The walk then continues through the Seven Sisters Country Park, over the famous Seven Sisters cliffs to Birling Gap, where there is a small beach. 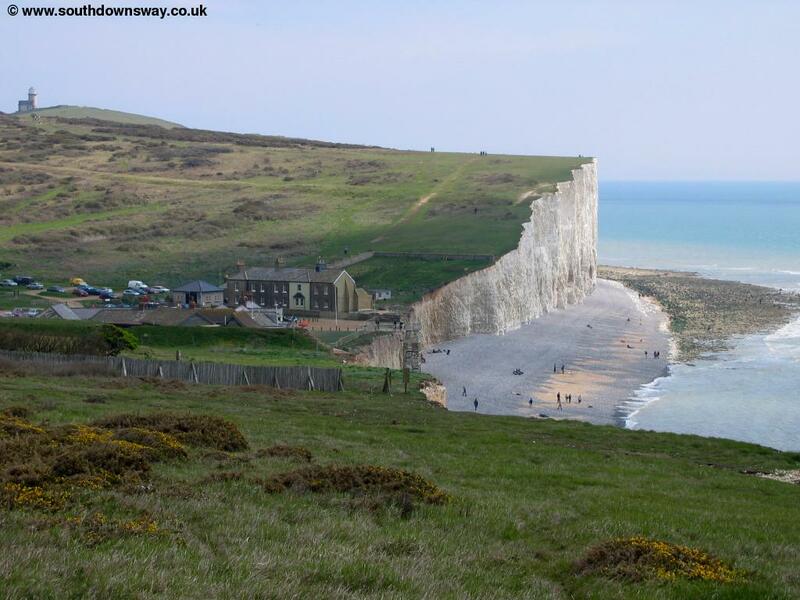 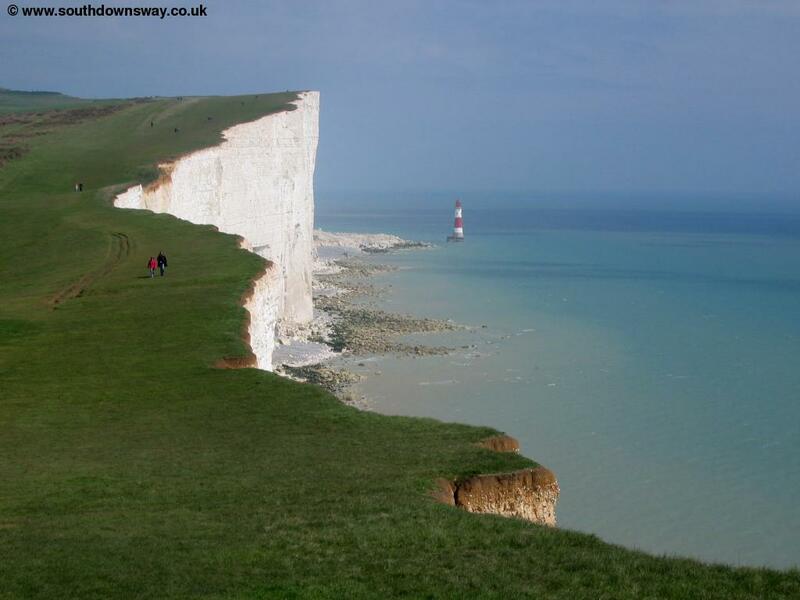 After Birling Gap there is a climb onto the spectacular Beachy Head and then a choice of paths from there into Eastbourne. 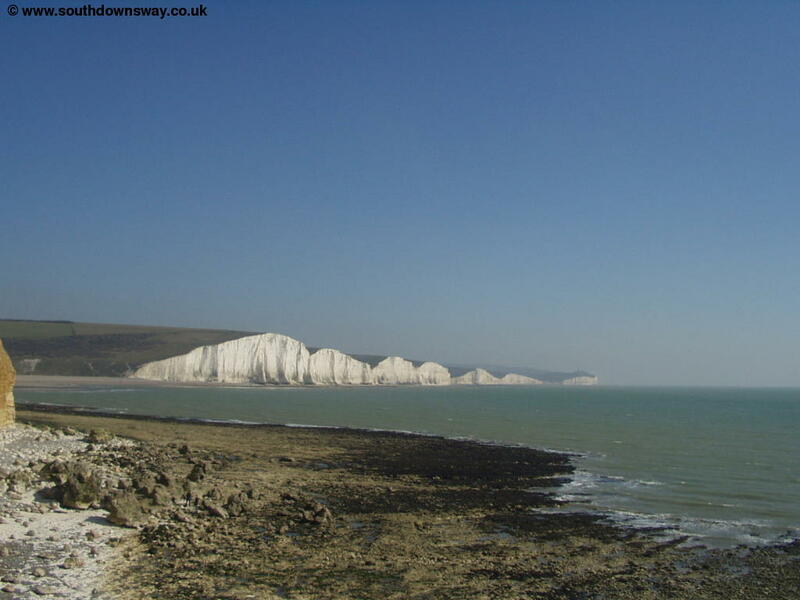 Seaford is on the A259, easily accessed from the A27 by joining the A26 near Lewes. 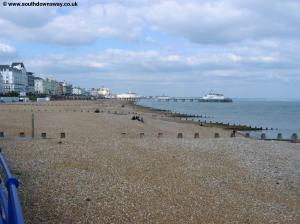 There is parking along much of the sea front. 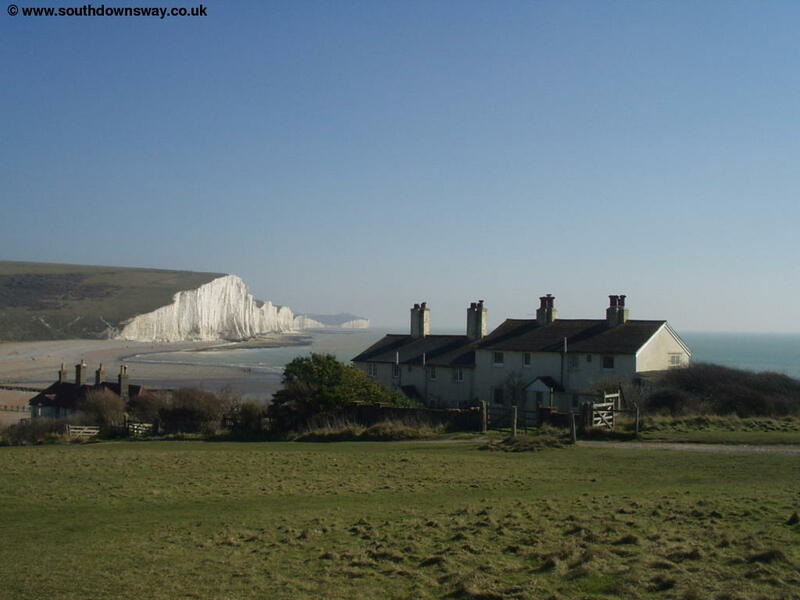 By public transport, there is a station at Seaford, at the end of a branch line from Lewes. 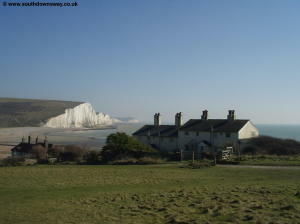 It is mainly served by local trains from Brighton, operated by Southern with good connections from the London - Eastbourne trains at Lewes. 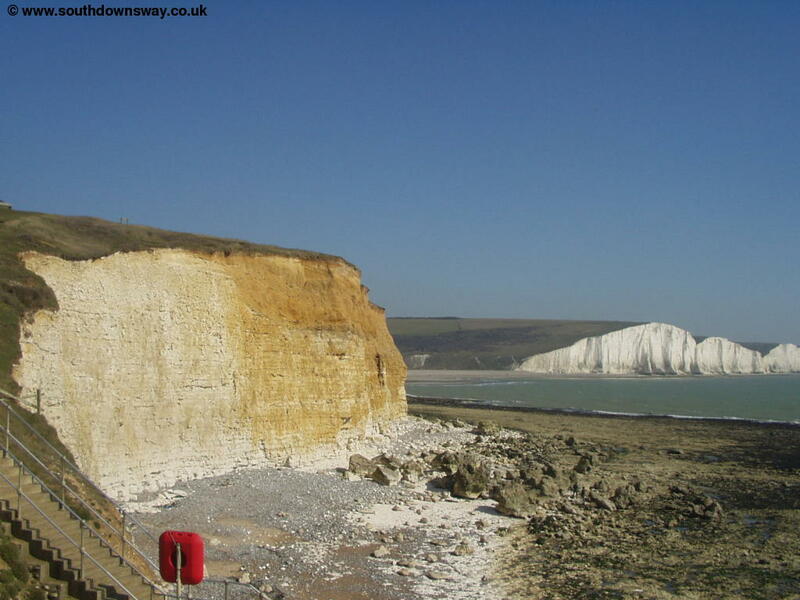 By bus, services 12 and 712 run around every 10 minutes from Brighton, Peacehaven, Newhaven, East Dean and Eastbourne operated by Brighton and Hove Buses and Stagecoach South. 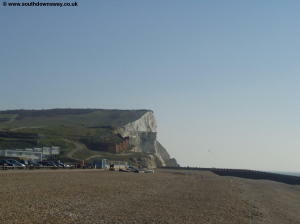 The walk starts on the sea front of Seaford. 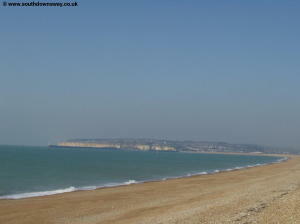 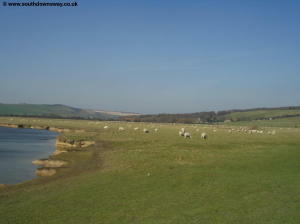 Seaford is a small town on the South Coast, just a short distance from the port of Newhaven. 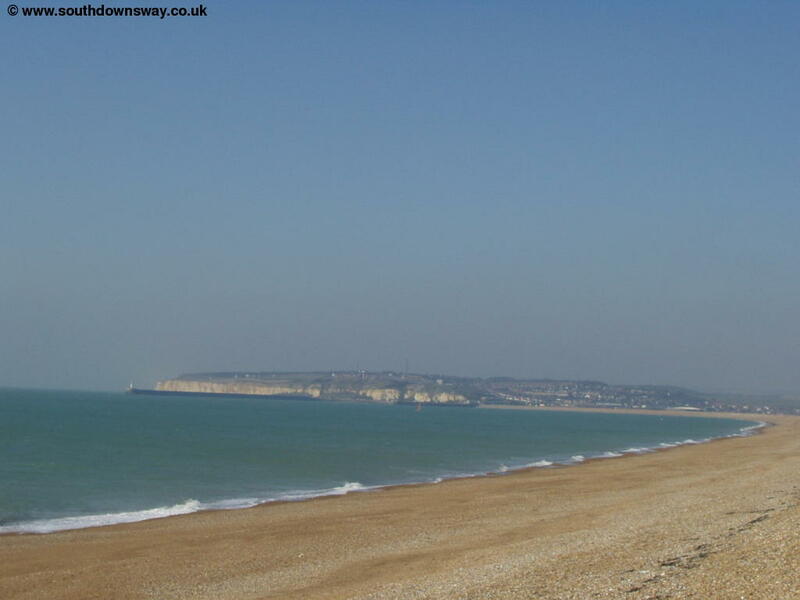 The beach is shingle, with a Martello Tower and Seaford Head in one direction and the headland at Newhaven visible in the other direction. 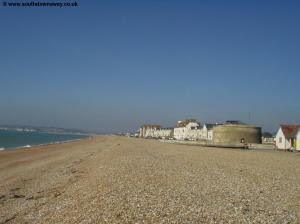 Once on the seafront at Seaford, turn left as you face the sea, towards the Martello Tower. 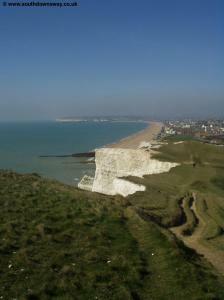 The Martello Tower is now a museum. Once past the Martello Tower you approach the headland. 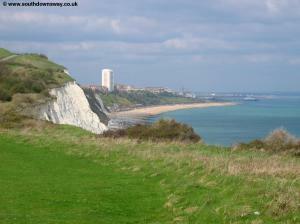 The first part of the footpath is on the Vanguard way, a footpath that runs from Croyden to Newhaven. 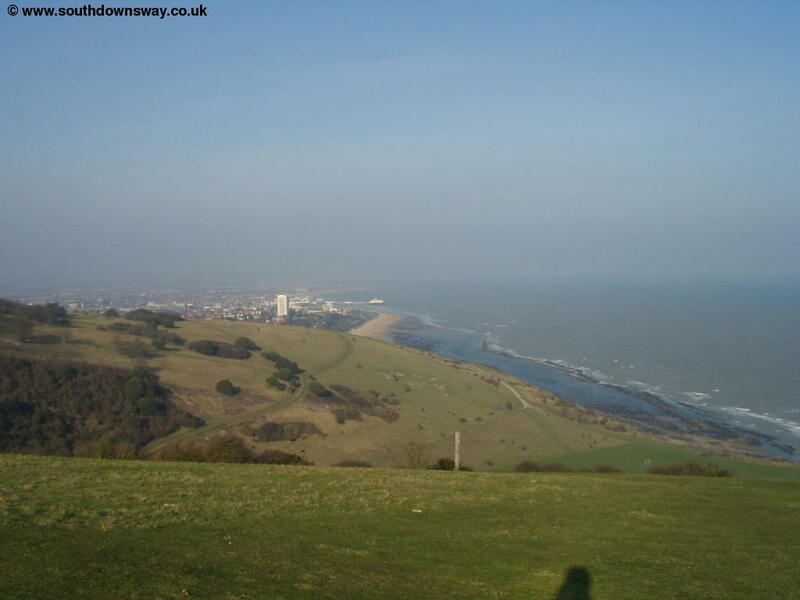 The sign is easy to spot and goes up the headland. 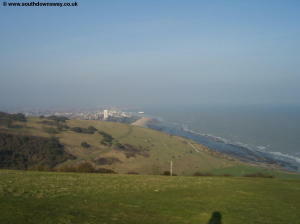 The view from the headland is spectacular and the path is adjacent to a golf course on the climb up. 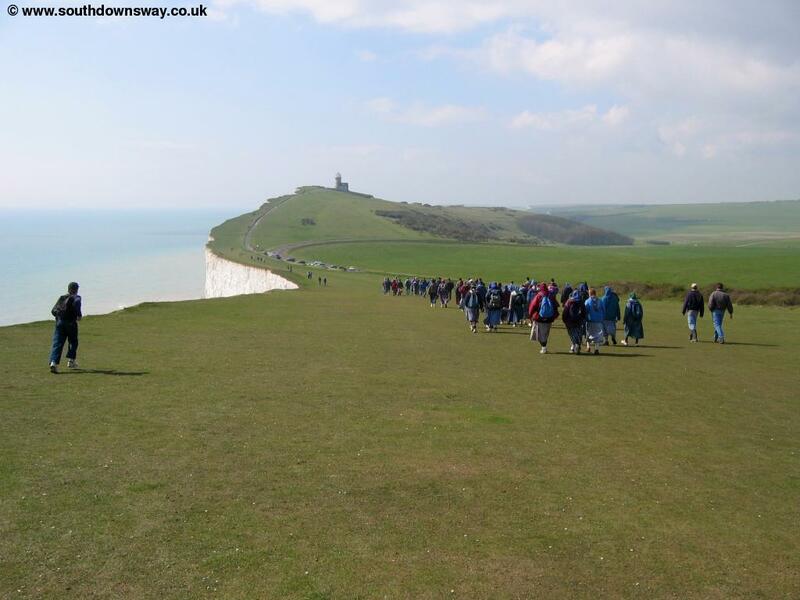 The path descends gently down from the top of the headland towards the Seven Sisters. 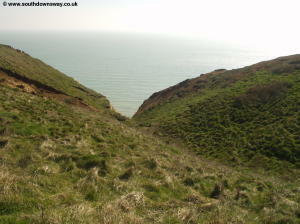 As you descend the headland you pass Buckle Church Burrows, a local nature reserve on the right. 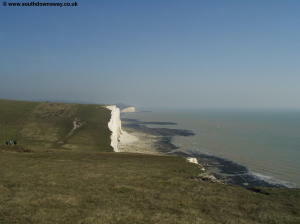 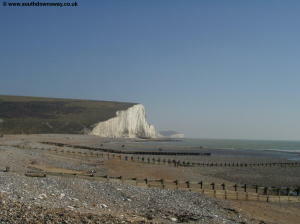 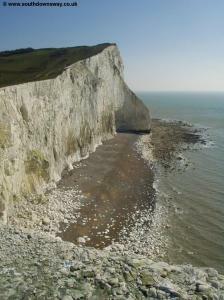 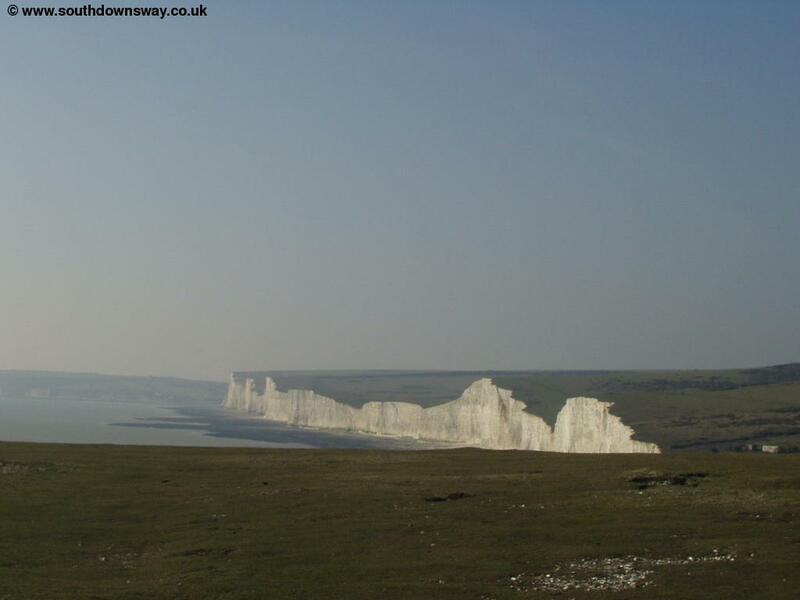 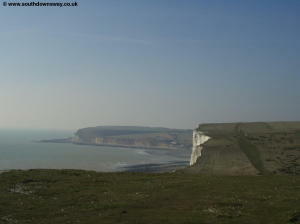 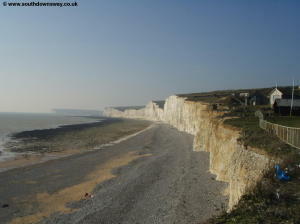 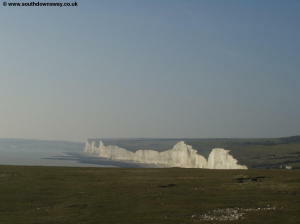 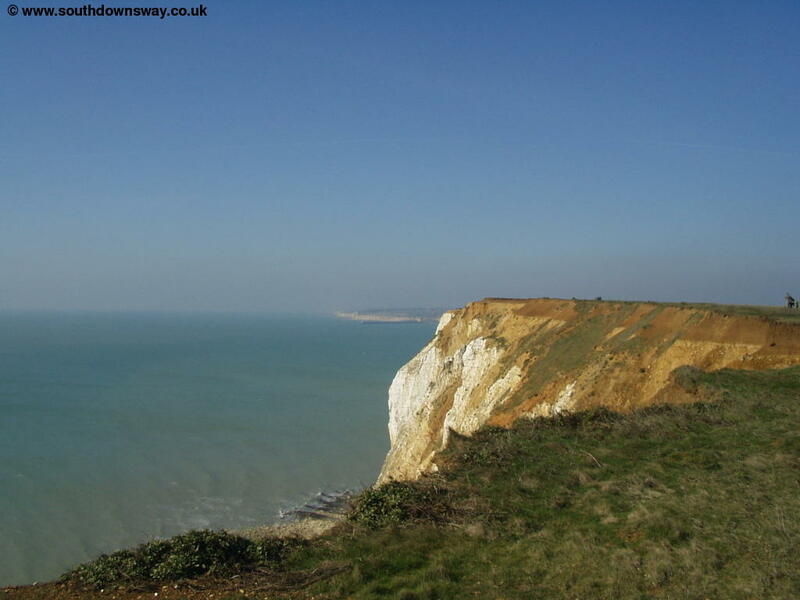 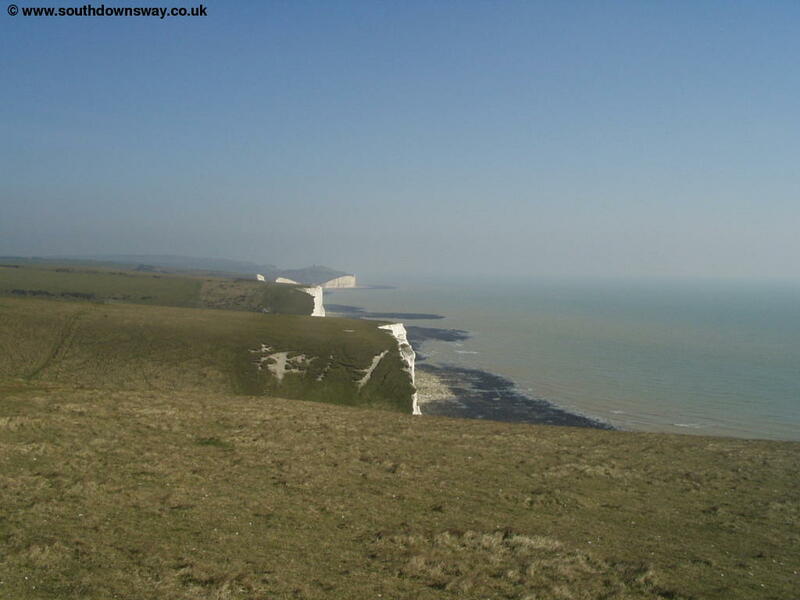 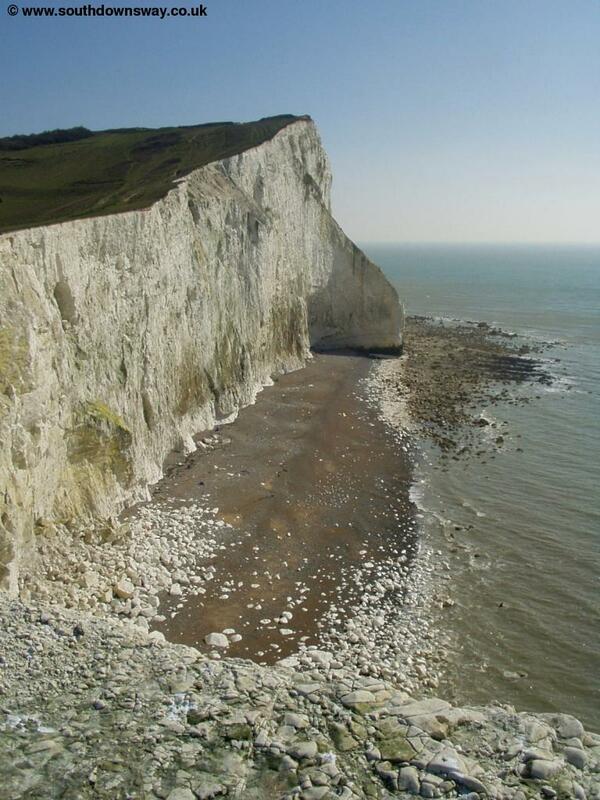 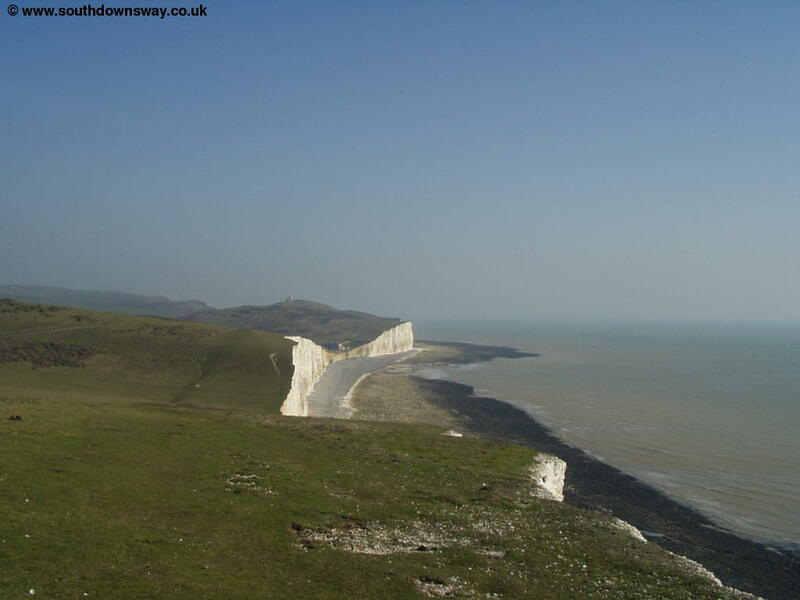 As you descend the headland you get the first view of the beautiful Seven Sisters (seven white cliffs) ahead. 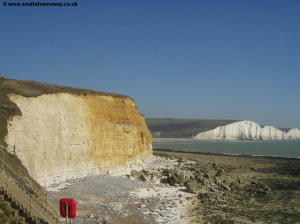 At the bottom of the headland are some stairs to access part of the beach of Cuckmere Haven although the path rises up again over Short Cliff where again there is access to the beach. 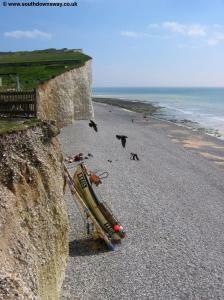 After the climb over Short Cliff there are again steps down onto the beach at Cuckmere Haven. 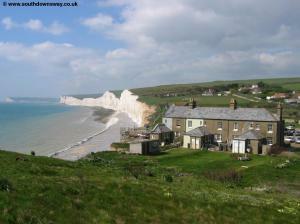 There is a row of houses here which are much photographed. 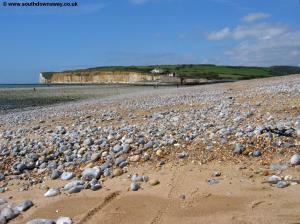 The beach is mostly shingle and rock, with a few groynes along the beach. 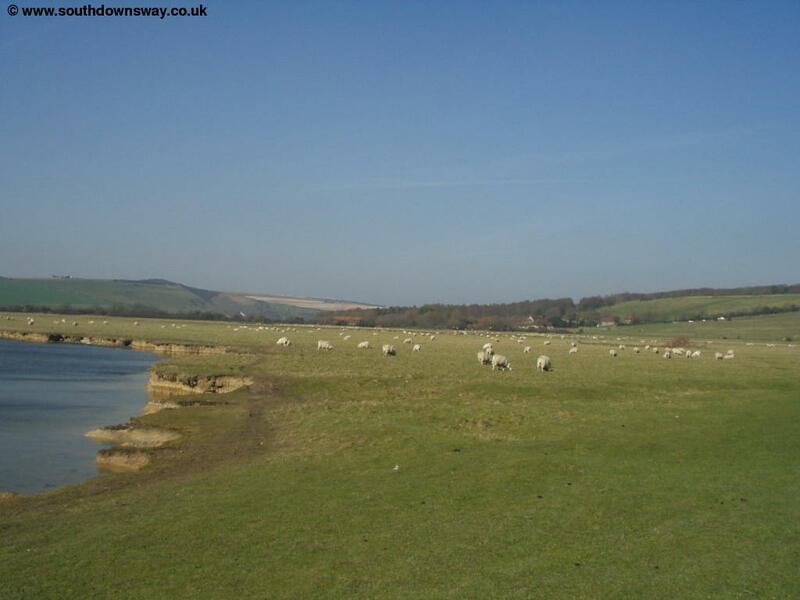 The river Cuckmere reaches the sea here but unfortunately there is no bridge at the coast, so it is necessary to make a diversion of around 1 mile inland to the road bridge at Exceat. The road bridge is narrow so traffic only travels along it one direction at a time. The pavement is unfortunately on the other side of the road from the path so you need to cross the road, only to have to cross back again once over the bridge to the pavement on the other side! 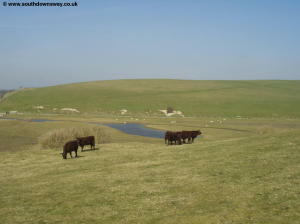 Follow the road until you reach the car park at Exceat, where there are several paths. 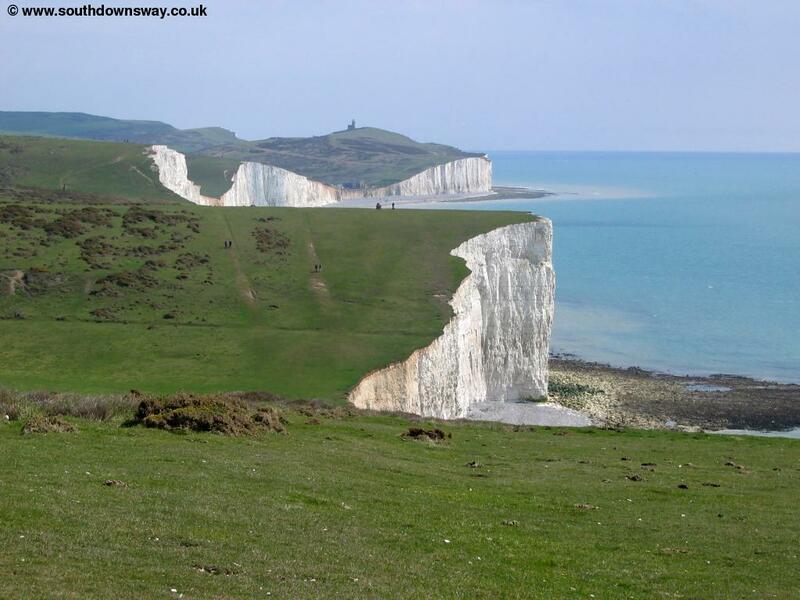 Exceat is where the Vanguard Way and the South Downs Way meet, but the South Downs way is well signed. Here there is a choice, follow the lower level path next to the river as far as Foxhole, then join the South Downs Way there, or join the South Downs Way straight away over Combe Bottom. Another alternative is to follow the path down to the beach and then take one of the steep paths from there onto the cliff top. 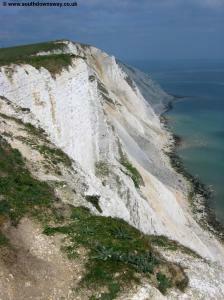 The path then climbs the first of the Seven Sisters, known as Haven Brow. 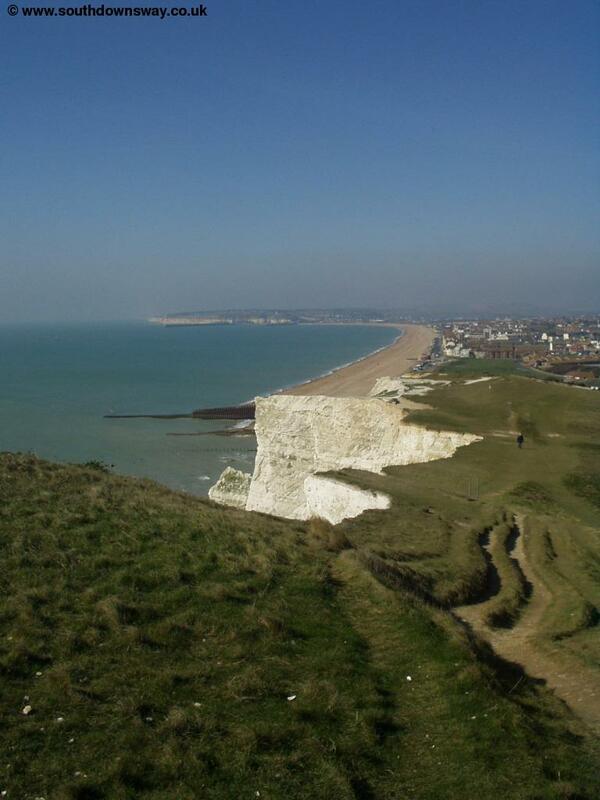 The view from the top is superb, back over Cuckmere Haven and to Seaford head in the West and views towards Beach Head in the east. 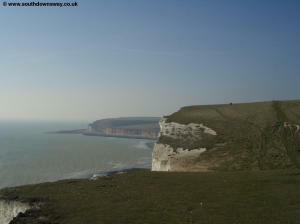 There is a short descent down Haven Brow before the path again climbs on to Short Brow, the second of the Seven Sisters. 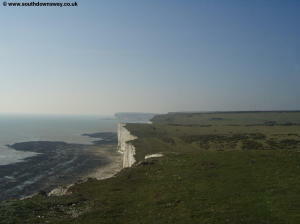 The path descends slowly down Short Brow to the next of the Seven Sisters, Rough Brow. After Rough Brow, there is another climb to Brass Point. 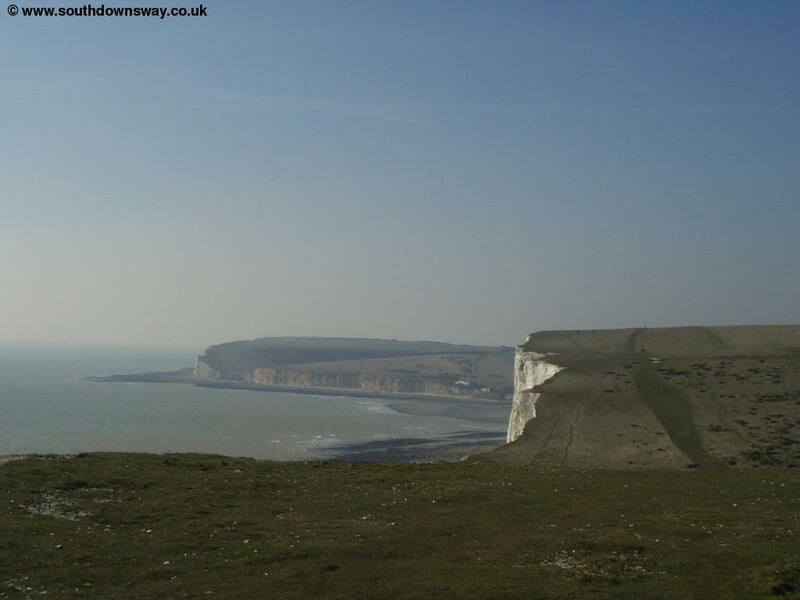 There is also a path inland (marked as Gap Bottom on the map) to the village of East Dean, from where you can get buses to Eastbourne and Seaford. 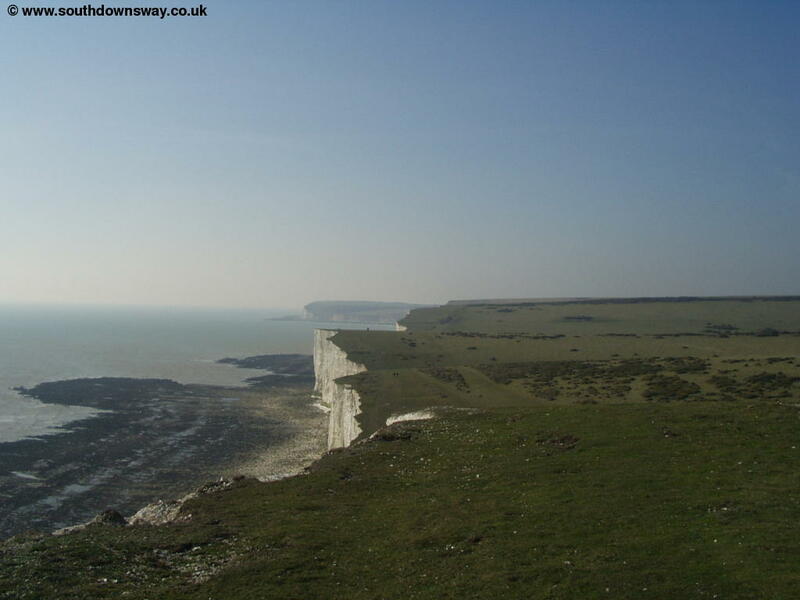 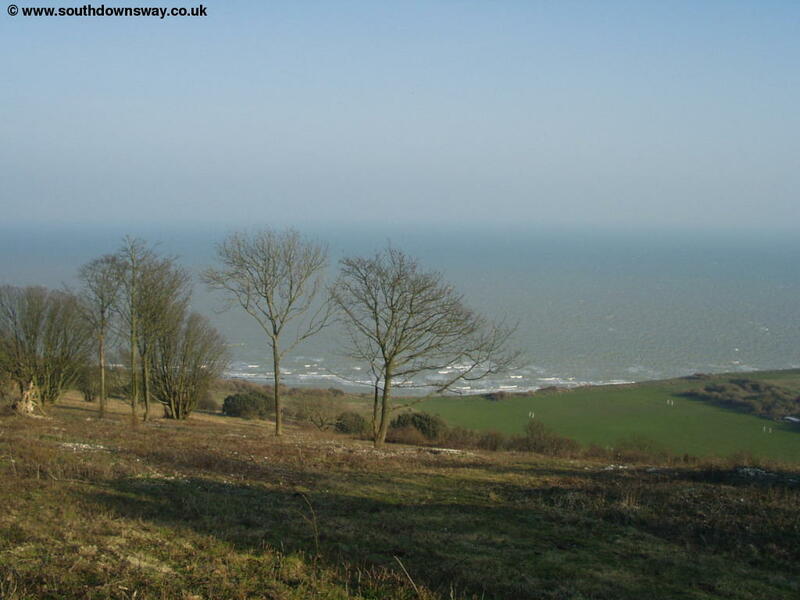 From Brass Point there is a steep climb to Flagstaff Brow but another excellent view from the top, with views back towards Seaford and of Birling Gap to the East. 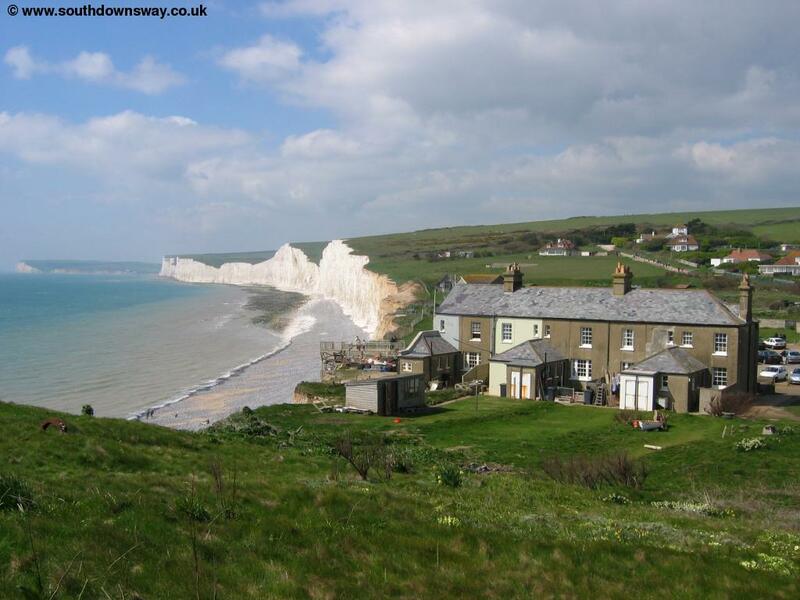 After Flagstaff Brow there is one more climb up Bailey's Hill before you arrive at the hamlet of Birling Gap, where the is a pub and small hotel providing welcome refreshment. 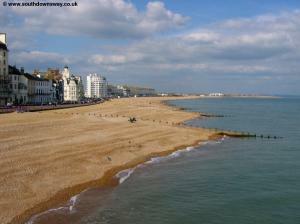 The beach here has some sand at low tide and has a Seaside Award. 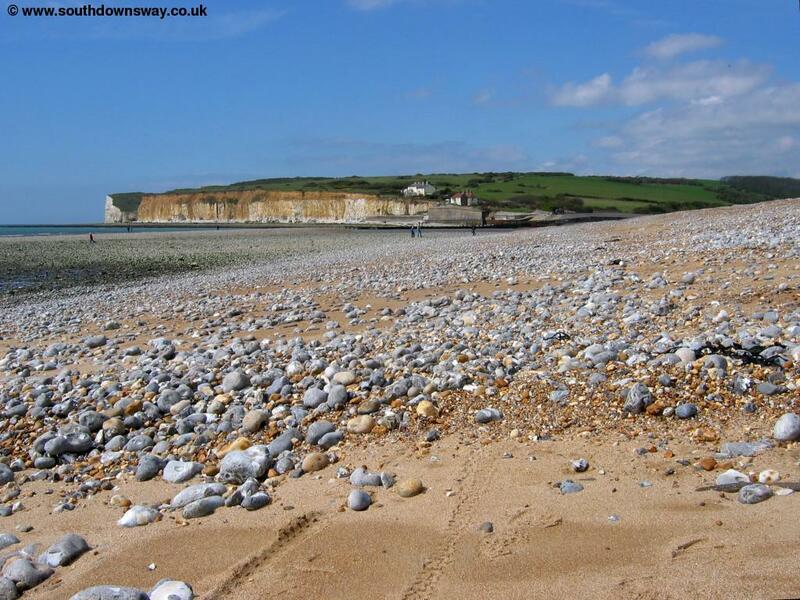 The Hotel, toilets and car park are now owned by the National Trust. Sadly, the coastal erosion here means that the row of cottages is slowly disappearing into the sea. 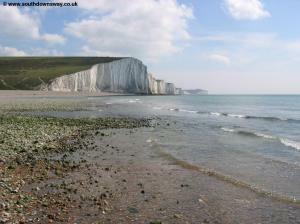 After Birling Gap, the path climbs the last of the Seven Sisters, Went Hill. 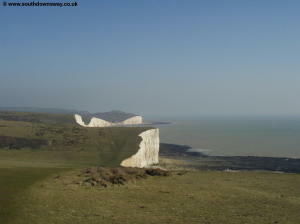 From the top of Went Hill there are excellent views back towards Seaford and the Seven Sisters. 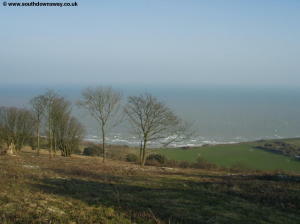 There is an old lighthouse on the top of Went Hill, that is now a private home. 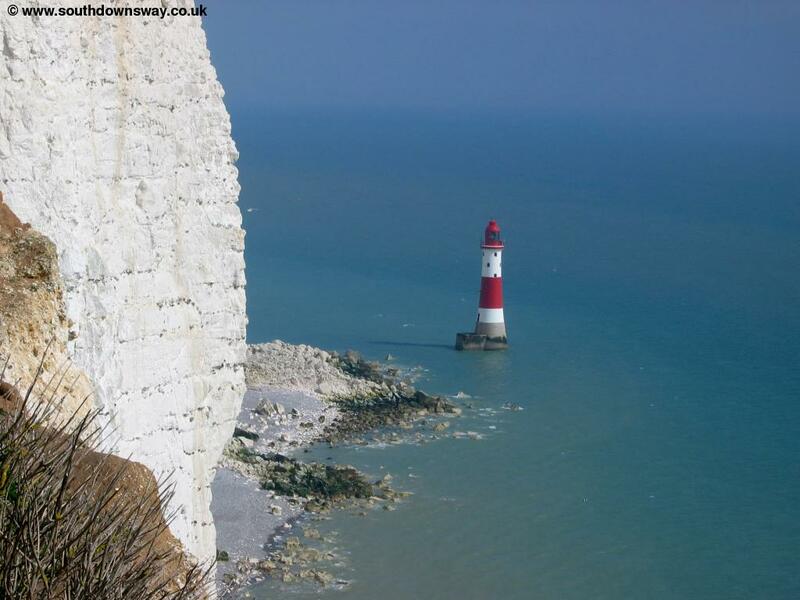 Once on Went Hill the path descends again before the climb up to Beachy Head, from where you get good views of the famous lighthouse. Beachy Head is a spectacular chalk headland, with the lighthouse below. 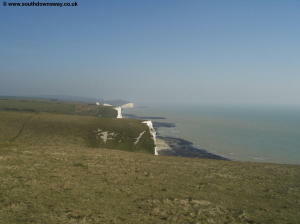 The views from the top are excellent but it is quite busy. 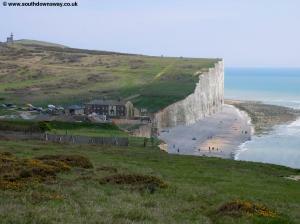 There is a cafe by the road at the top if you're in need of refreshment. 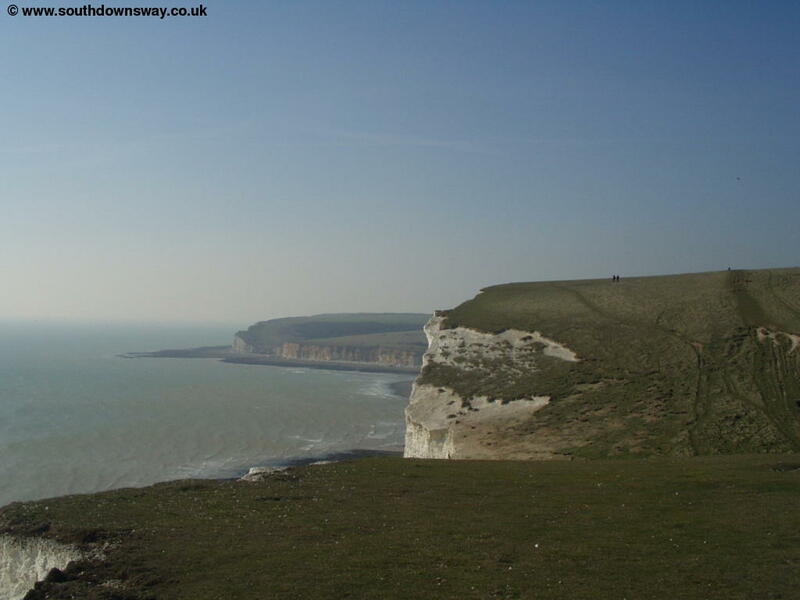 From Beachy Head there are two ways to go back, the official South Down Way sticks to a high level path around the headland, but there is also a well marked path along a low level nearer to the sea. 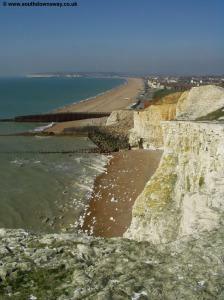 There are good views to Eastbourne as you approach, although it's shame about the ugly block of flats. 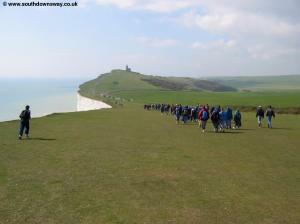 Both the paths come out into Duke's Drive near the school. 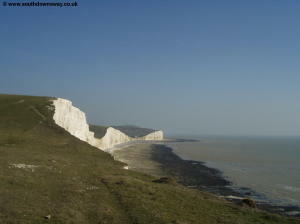 Although initially joining the road there are paths through gardens at a lower level for most of the walk into Eastbourne. 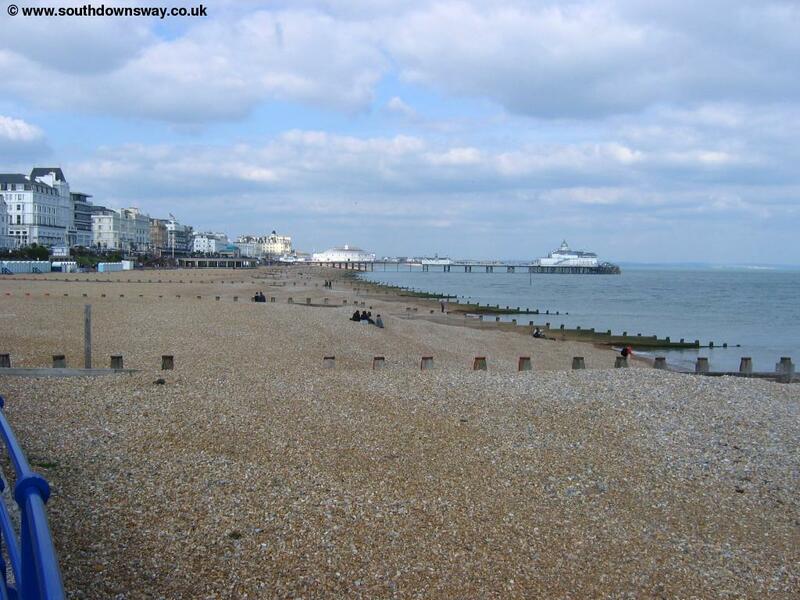 Eastbourne is a popular resort with much of the sea front lined with Hotels. 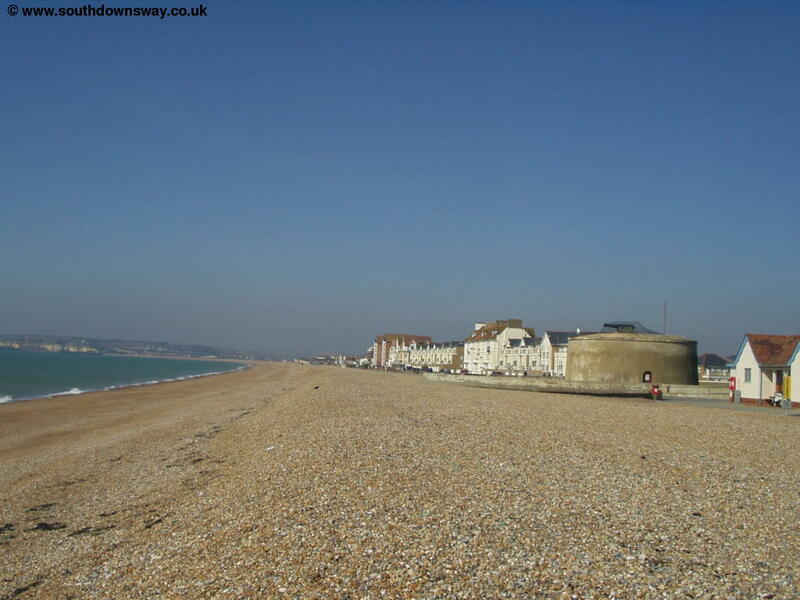 There is another Martello Tower on the seafront, similar to the one at Seaford and from there it's a short walk to the pier. 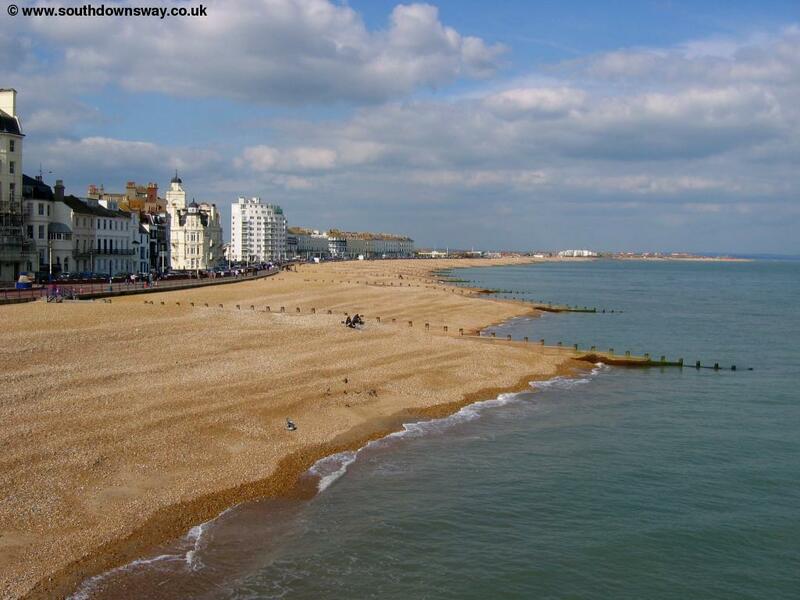 If you're returning to Seaford, buses leave frequently (around every 15 minutes during the day time) from the bus station, a short distance in land from the pier and are operated by Brighton and Hove Buses. 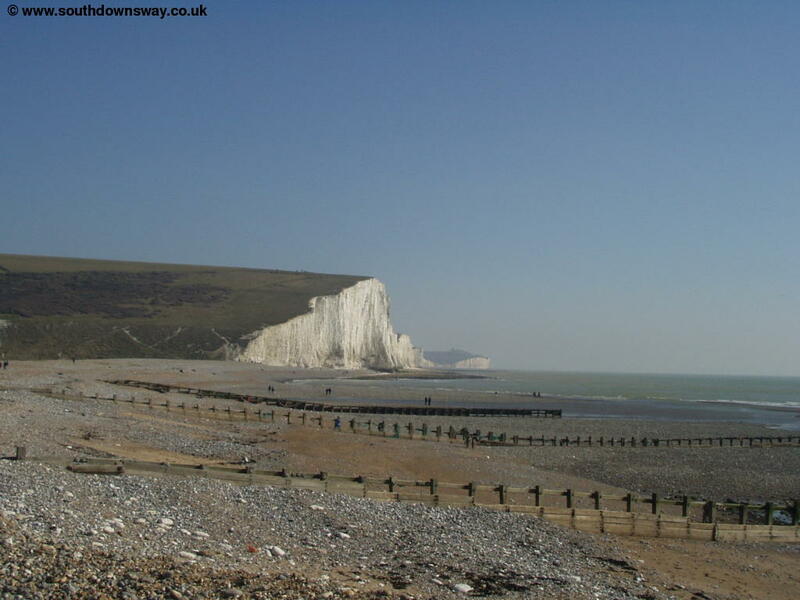 A little further back there is also a railway station, where there are regular trains to Bexhill, Hastings and Brighton and longer distance services to Lewes, Haywards Heath, Gatwick Airport, Croyden and London, all operated by Southern.